사용 된 찾고 PBH 300 ? 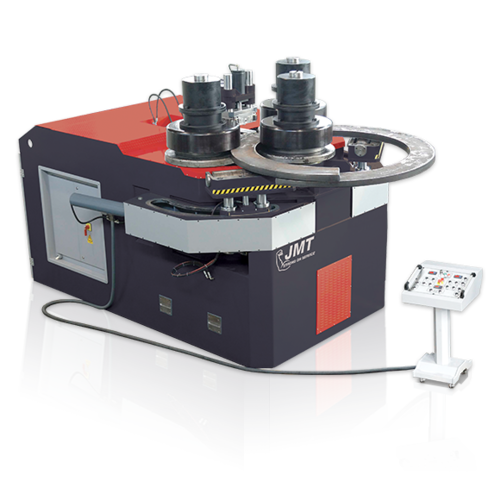 The JMT-PBH300 is a heavily built angle roll machine that has 1 set of standard universal hardened rolls as well as ground rolls. Each roll has its own planetary roll box which assist in higher output torque in addition to managing speed. This essentially gives you smoother operation and increases overall performance. The PBH300 is great for manufacturing many types of profiles and can process a minimum diameter of 36” on an I-section type profile of 145”. It has a shaft diameter of 11” to 11.8”. The roll diameter of 32”. 새로운 구입하고자 JMT PBH 300 ?